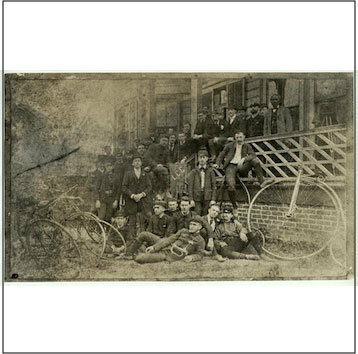 In August of 1890, work was completed on the clubhouse of the Louisiana Cycling Club (LCC) at 1637 Octavia Street. The Queen Anne-style building still stands at that address. The party celebrating its opening was attended by 200 people and claimed to be the largest "smoker" (slang for a men's party) ever held in the South. Entertainments included acrobatics, musical performances, speeches, stories, and theatrics presented by members of the club, including the official LCC Quartette. For the next two years, during the height of cycling club culture in New Orleans, the building was the site of lively parties including "smokers" and ladies’ socials given for the numerous female fans of cycle racing. The LCC was the first cycling club in the South to build its own clubhouse. 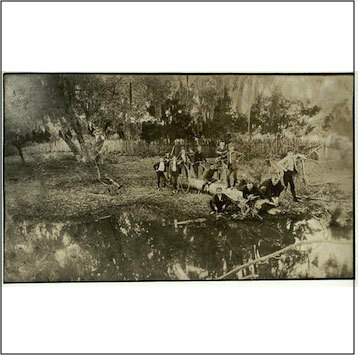 At the time the house was built, the area was on the edge of the city’s suburban development along the St. Charles streetcar line. 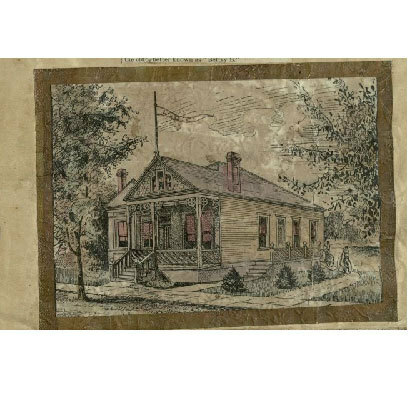 The building stood “on the woods side of Octavia Street.” The clubhouse included a ladies parlor, an octogon-shaped reading room, a billiard and banquet hall, a "wheelroom" for storing bicycles, and a janitor's quarters. 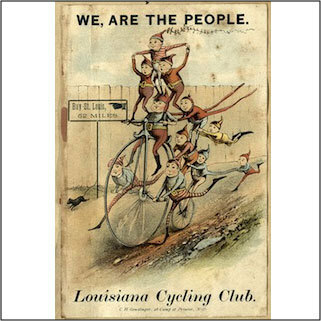 The LCC, formed in 1887, was the second bicycle club in New Orleans (not counting the short-lived Crescent Wheelmen formed earlier that year). 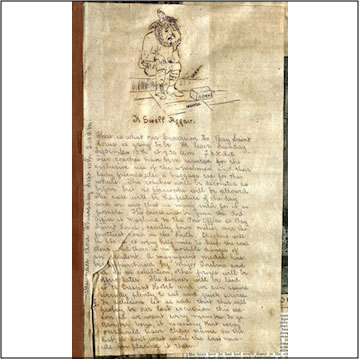 The club was founded by R.G. Betts, who went on to become the first president of the Federation of American Motorcyclists, organized in 1903. When the clubhouse opened, the LCC had 78 members and 10 honorary members, including 7 women. The “safety,” with two wheels of equal size and a chain-driven crank, appeared in the American market in 1887, encouraging more people, including women, to ride and to join the club. Many members of the LCC, however, continued to ride their high wheel bicycles, as they considered the danger part of the fun. Founding members of the LCC had been members of the New Orleans Bicycle Club. The reason for the split is not clear, but differences in the culture of the two clubs point to possible reasons. 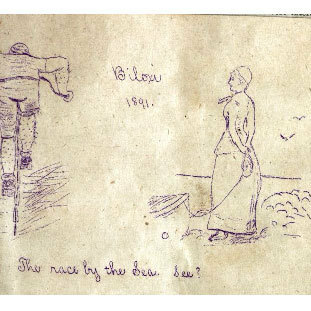 While the NOBC had tried to present cycling as congenial to Victorian standards of propriety, the younger club was fun-loving and disorderly. They often made fun of the NOBC for being stuffy. 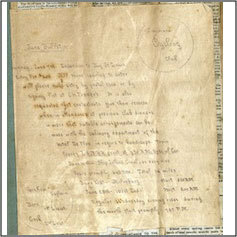 The rivalry, despite the ribbing from the LCC, was a friendly one, expressed mainly in track and road races. 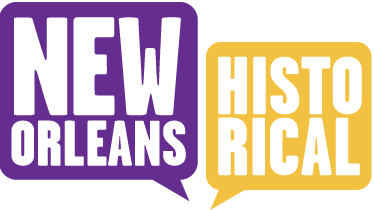 Like the NOBC, the LCC pushed for the rights of cyclists to public roads and the improvement of infrastructure, contributing money to the Canal Street Improvement Association and funding the purchase of a sweeper for St. Charles Avenue. The club also organized rides out to the resorts on Lake Pontchartrain, to the farms of Gentilly, and to seaside resorts in Mississippi, among other places. 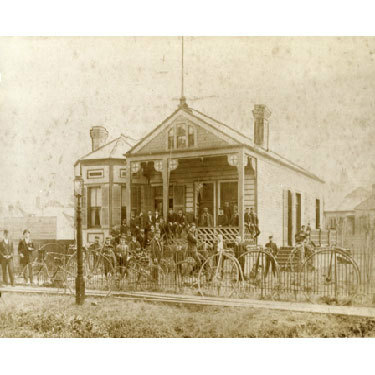 Lacar Musgrove, “Clubhouse of the Louisiana Cycling Club, completed 1890,” New Orleans Historical, accessed April 24, 2019, https://neworleanshistorical.org/items/show/531.